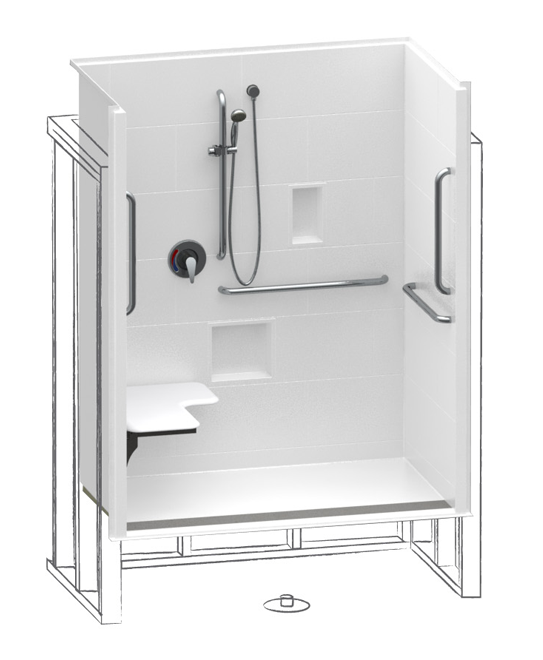 2010 code standards introduced a 1/4’ vertical threshold for roll in showers. With the vertical conversion option, your finished floor must come up 3/4” which leaves a 1/4” vertical compliant threshold. 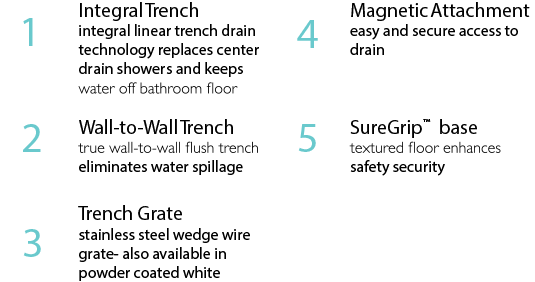 Although 1/4” vertical threshold is legal, we modeled a flush floor finish to emphasize the preferred finish technique. 2010 code standards introduced the change of level threshold. 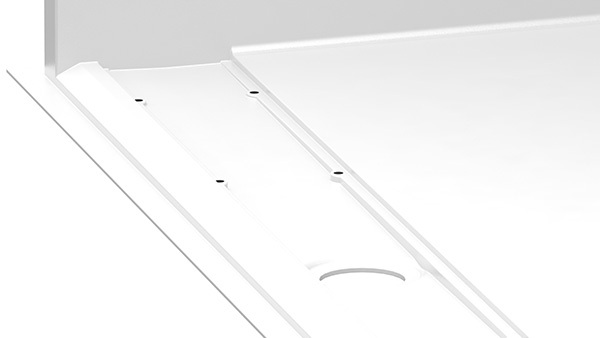 This Asura COL option allows on-slab installation when the finished floor height meets the bottom of the bevel. AcrylX™ applied acrylic is standard finish with higher shine and a brighter white. Optional finish colors are bone and biscuit.